First came summer, then came a new sensory bin! 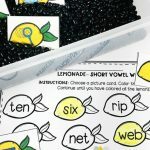 These summer strawberries make me crave one of my favorite summer treats and will have your kiddos begging to go “berry picking!” Have some summer fun with these Berry Short Vowel Sensory Bin and Printables! 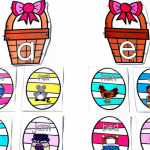 *Pair this with our Short Vowel Word Family Reading Passages for early readers! If you’ve followed my bins for any amount of time, you probably have noticed my love of these shiny black beans as sensory bin fillers. While I try often to switch out fillers, sometimes these little guys just work so perfectly. This bin is one of those times. Is it just me, or do they look like a bunch of strawberry seeds?! I love them! Prepping this bin is as simple as can be! First, fill your preferred bin with the black beans. Then add the strawberry cards, and you’re ready to go! 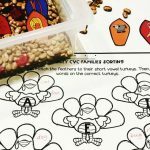 All that’s left is for students to “pick the berries,” and match the cards to their correct spot on the matching mats or color their recording sheet! 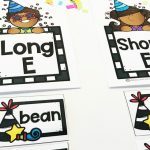 Because sometimes having tiny fillers like black beans can seem overwhelming, I’ve added some extra sorting titles to turn this bin into a sorting center instead! 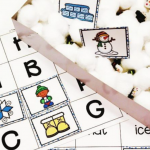 With that addition, this bin has so many practice options for differentiated instruction! 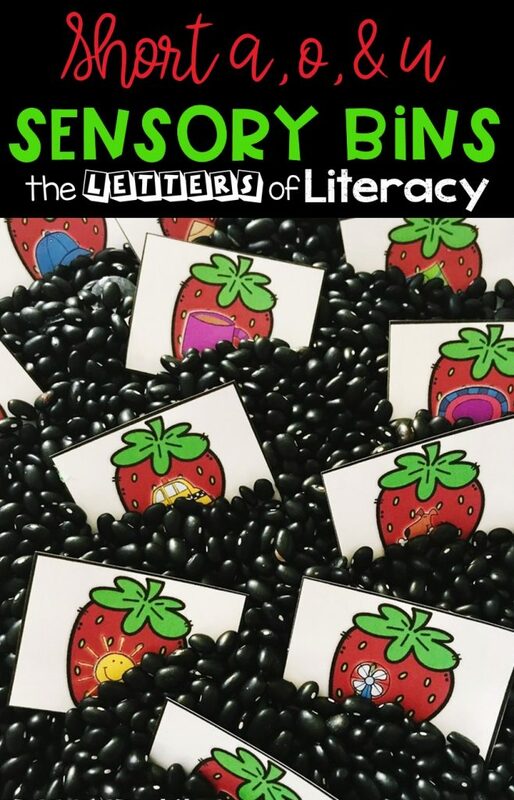 choose strawberries from the bin and place them on their correct CVC word on their word mat. 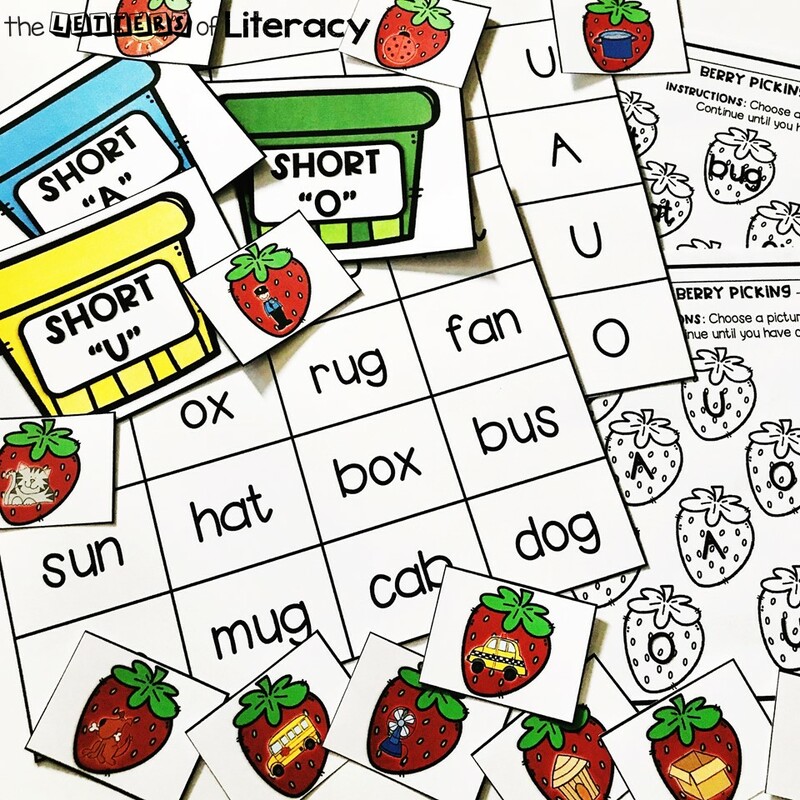 pick strawberries from the bin and place them on their correct short vowel on their vowels mat. 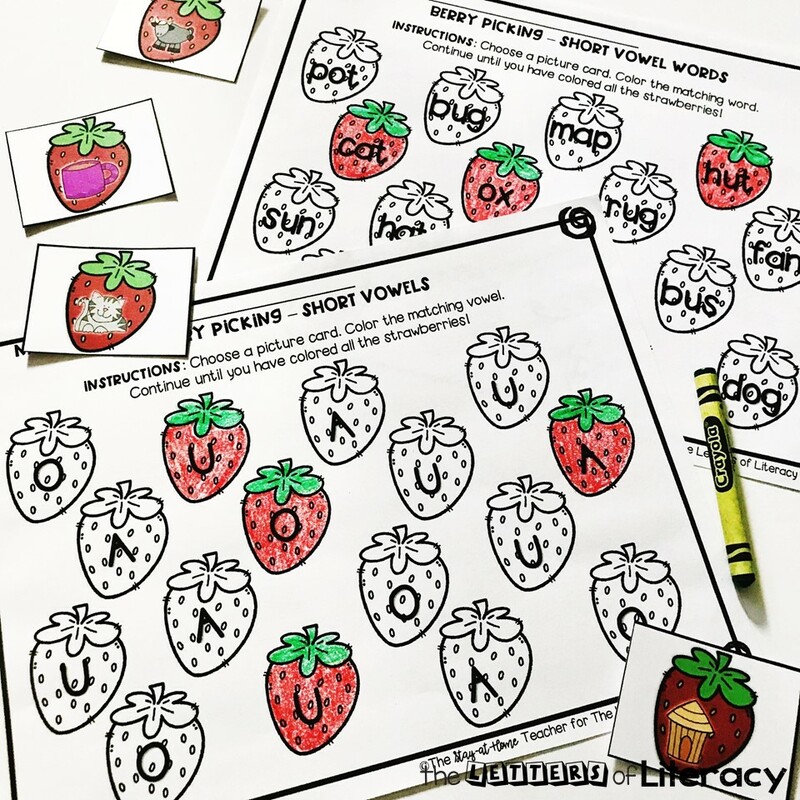 choose strawberries from the bin and color the correct CVC word on their recording sheet. 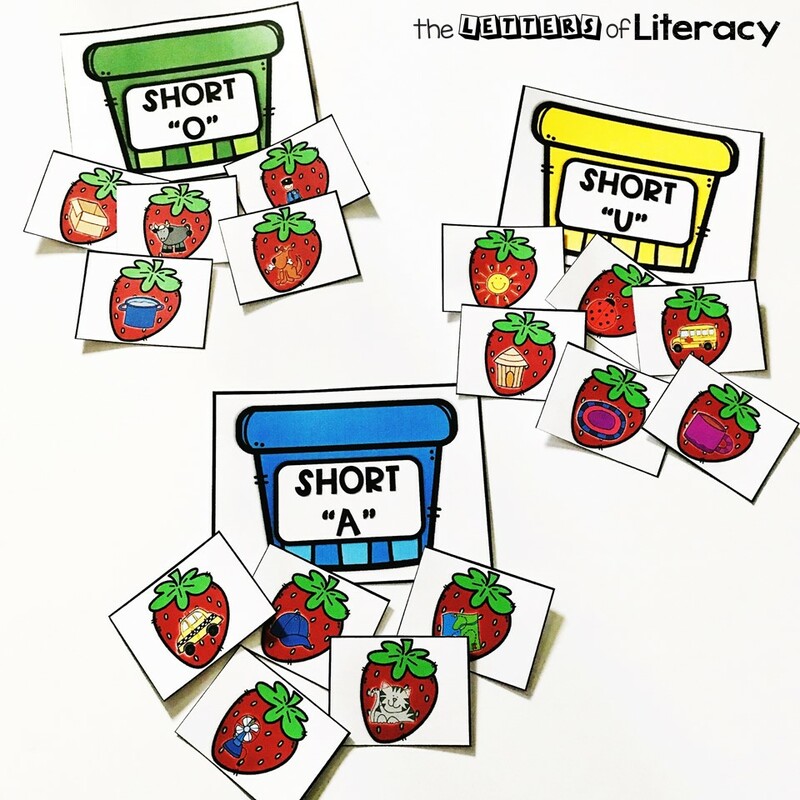 grab strawberries from the bin and color the correct short vowel on their recording sheet. 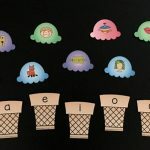 sort strawberries by their short vowel sound and then place them with their correct basket. That’s 5 different ways to use this freebie! 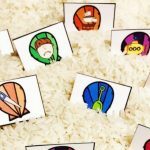 With all of those options, I like to introduce the activity in a small group first. Then, have my kiddos work on a different version themselves during center time. However you choose to organize your practice, I’m sure your kiddos are going to LOVE this bin! 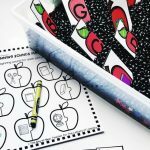 If you’re ready to grab these FREE Berry Sensory Bin Printables then click the large, blue button below! 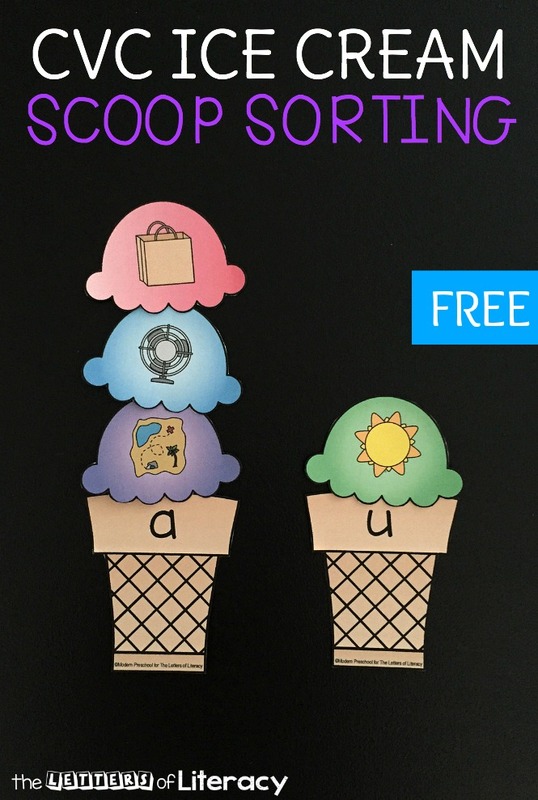 Then, hop on over to see our Ice Cream Scoop Short Vowel Activity and FREE Printable!